At Trusted Space Partners, we meet social service providers, public school principals, housing managers and hospital administrators who feel stuck and unable to achieve their mission without more engaged, trusting relationships with those they serve. In these situations, we ask for a diverse team to form within the institution and we work with these teams to identify specific opportunities in their community for taking on the known stuck places and barriers that have stopped progress. Instead of starting with a traditional needs assessment, we help these teams develop a strategy that starts the process of building new connections from the get go. Practices for One on One Contact: We design and implement community engagement opportunities that support genuine relationship building from the first point of contact, whether that is door to door, in meeting spaces or in public forums. Practices for Community Exchange: We help create innovative rooms, meetings and experiences that facilitate the exchange of real value across ethnic, racial, class, geographic or professional differences. Practices for Community Innovation: We develop strategies for new teams of people across lines of difference to tackle tough local issues, change or build new institutions, and forge broad collaborations and unique partnerships. For a list and description of some of the specific practices, read more here. The goal of our work together is to shape three dimensions of a new community eco-system that supports an on-going and consistent use of these practices over time: (1) A New Network of Aspirational People (2) A New Operating Culture for Connection and Communication (3) New Narratives of Possibilities Across Institutional/Participant Lines. ​Since 2015, TSP has been providing support to diverse teams in mid-sized Massachusetts cities that were chosen by the Federal Reserve Bank of Boston as Working Cities Challenge winners. Teams in each city are implementing aggressive strategies for ‘systems change’ in areas like employment, neighborhood revitalization, transportation and open space development. In each city TSP is helping to design network-centric community building strategies. 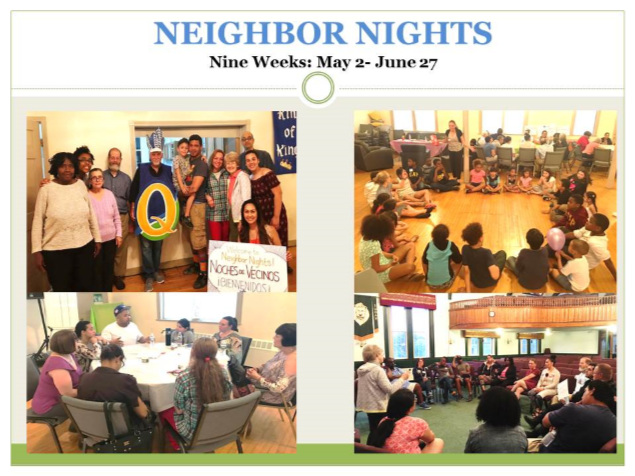 In Pittsfield MA, we helped design their community building strategy anchored in “Working City Wednesdays” which has become the go-to setting for diverse parties and populations in Pittsfield to connect and collaborate. 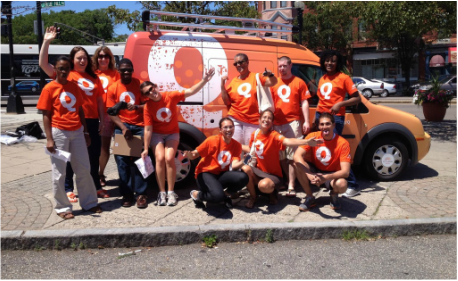 In Haverhill MA, TSP helped the team design a “Q Campaign” to generate more neighbor-to-neighbor connection and action. http://www.eagletribune.com/…/article_ea9d3540-2270-5cda-a8… TSP also worked extensively with teams in Fitchburg MA to help kick off their initiative “Re-Imagine North of Main” https://www.reimaginenom.com/, and in Lowell MA. 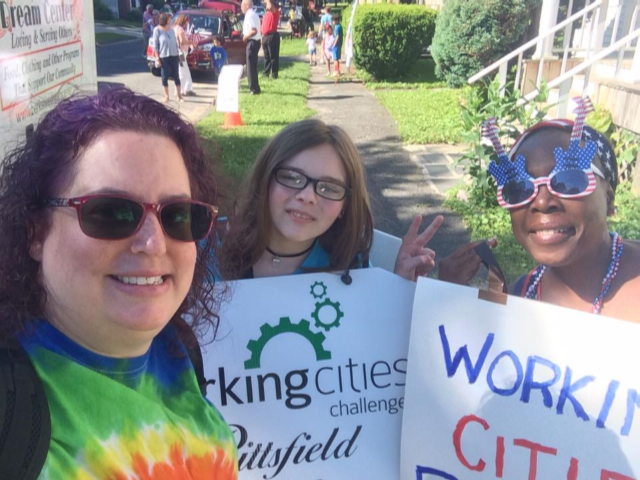 In early 2018, TSP began work with teams from three Rhode Island Cities that were chosen as winners of the Working Cities Challenge in that state: Newport RI, Cranston RI and Providence RI. In each of the cities, TSP has begun to support local teams in designing grass roots, network centric approached to community building. In 2013, Trusted Space supported a local foundation in designing and implementing a six month campaign to engage the Grove Hall neighborhood in a focused experiment to “eradicate poverty in one place”, based on the premise that those who live in the neighborhood have to be the ones shaping and driving the transformation. During this intensive period, the staff connected with 2,100 residents, held over 800 meaningful conversations and exchanged ideas over dinner with 300 residents, all leading to a funding strategy grounded in authentic demand. 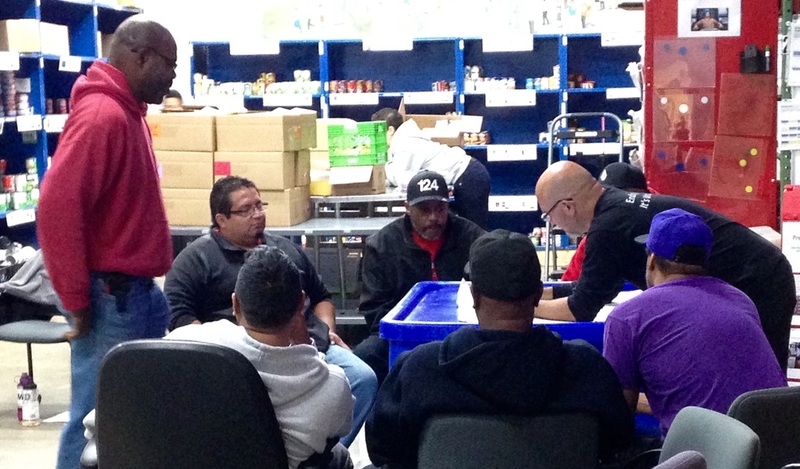 ​In 2015, Trusted Space helped the staff of a large and longstanding food pantry design an initiative to engage staff and clients around a more honest conversation regarding hunger, race and cultures of volunteer service that contribute to food insecurity. In this picture, food truck drivers co-design new ideas for building trusting relationships, both within the organization and with those they serve.